The best thing I ever did for my garden was to hire a garden designer to plan out the overall design. The worst thing I did was wait 13 years from the time I moved to this property until I hired the garden designer. It wasn't easy to give up that control I thought I had in my garden, to admit that I needed help on design. After all, I'm a gardener. I know the basics. Big plants go behind little plants. Vegetable garden goes in the back third of the yard. Plants that need full sun go in full sun. Plants that need shade go in the shady places. All good. All not good. My patio was too small, my beds were too narrow, I had trees dotting the backyard like misplaced punctuation in the middle. of a sentence. And I didn't have entire types of plants in my garden because I just didn't understand them and how to use them to enhance the garden. Now I have garden borders that make sense. A lawn with a shape. Trees in their proper places. New kinds of plants. Old favorite plants in better places. A bigger patio. I can still add new plants and I do so frequently, but now I plant them within the design without messing it up, too much. I still have a vegetable garden. I still have Plopper's Field. I have sculptures. I have a beautiful gate leading into the vegetable garden. I have a garden path. If it is even possible, I enjoy my garden more now than ever before because it makes more sense. It's not just a collection of plants. It's a garden. If you don't think your garden is quite right and you can't quite put your finger on what's wrong, hire a garden designer to help you make it right. You'll make fewer planting mistakes and save money in the long run when your garden has a good design. Don't wait 13 years. Do it now. This fall. Or no later than early spring. Do it. Hire a garden designer to turn your garden from a place for plants into a magical place you'll enjoy for years to come. Garden designers everywhere are thanking you for this heart felt endorsement! Shortly after my Dad died, my Mum won a garden designer (well, her services) in a competition, so she now has a plan for her new garden and it will be a great little garden for her. The whole family will get together next weekend to plant it up according to the plan. I can't wait to see it materialising! A great idea. 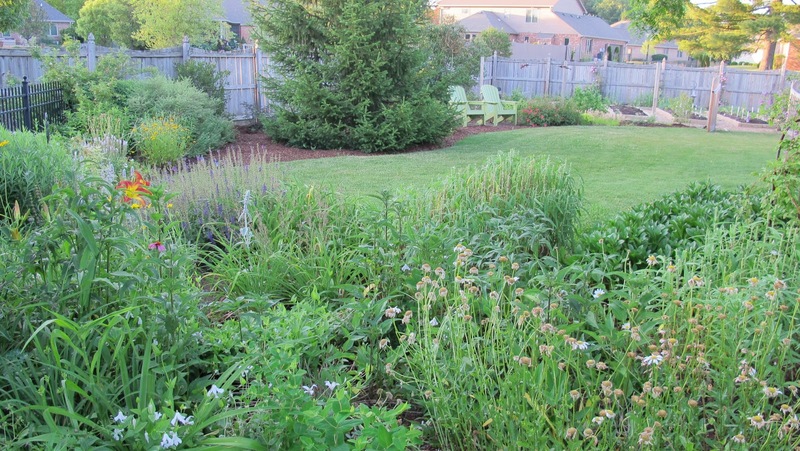 A professional designer can create the plan along with plant lists and where to plant. Strong people can do the heavy lifting, as soon as I get the money together. And, I can install small plants as time goes along. Thanks! Can we see your plan & pictures? I think it's good to point out that you can hire a garden designer to draw up a plan, but do all the work yourself, thus saving money and still benefitting from the expertise. I think I will add this to my Christmas Wish List from my family. I agree and you found the perfect designer for your garden, too. Expanding the picture of your garden just let me see how very beautiful it is. 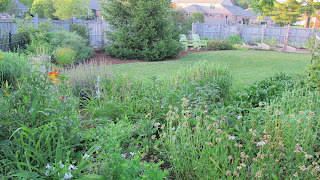 I am sort of happy with our garden but reading your post has me thinking as to how very different it could have been. I've been too cheap, er, frugal, to invest the money, thinking how hard could it be to plan a garden? But looking at my flowerbeds scattered here and there and then seeing the transformation of your garden, Carol, I agree a designer might be well worth the money. Thanks for this. I shared it with the George Washington Univ. Landscape Design students/alum group on LinkedIn. Your garden is lovely and your designer has a good eye for making everything flow as it should. Well done...enjoy it!